**SSTAR Award 2012 for the category "Most dedicated project supervisor"
Ismini Vasileiou is an Associate Professor of Information Systems and Programme lead of the BSc (Hons) Digital and Technology Solutions at the University of Plymouth (including a Cyber Security Analyst pathway), with research interests including security education and technology-supported learning. She holds an EdD in Flexible Learning for Computing Degrees in Higher Education, and is a Senior Fellow of the Higher Education Academy. She is actively involved in academic delivery at both undergraduate and postgraduate levels, as well as the supervision of postgraduate research. She has previously published on topics including flexible learning, security education and technology-supported delivery, and has delivered a variety of invited presentations and keynote talks into relation to topics such as unconscious bias and stereotypes in STEM topics. 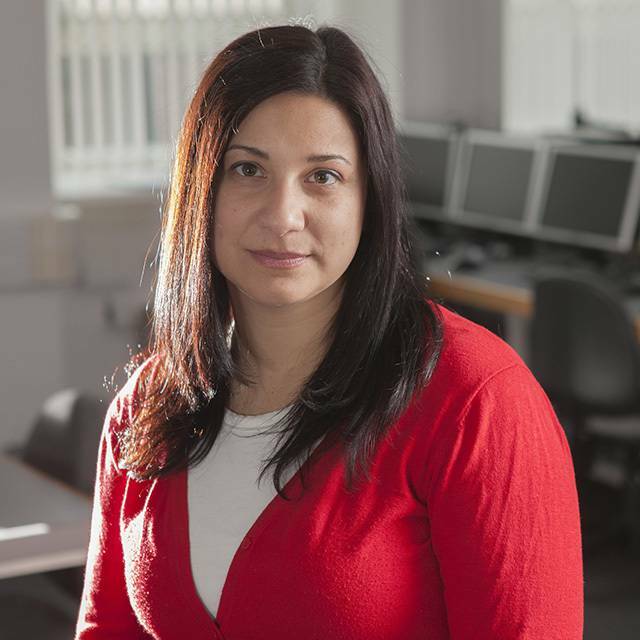 Dr Vasileiou is currently the Chair of the STEM special interest group within the International Academic Peer Learning Leadership group, and is also actively involved in professional body activities for the computing sector, including current roles within the BCS South West Branch as the Chair, BCSWomen as the EDI officer, and the BCS Learning and Development Specialist Group. “Women in IT”, invited talk, Bedfordshire BCS Student Chapter, Luton UK, February 2015. Invited Keynote Speaker, Women in STEM, Plymouth UTC UK, December 2014.